Black framed Polarized Xportz sunglasses only $43 a dozen! Arms are decorated with the logo on a shield. 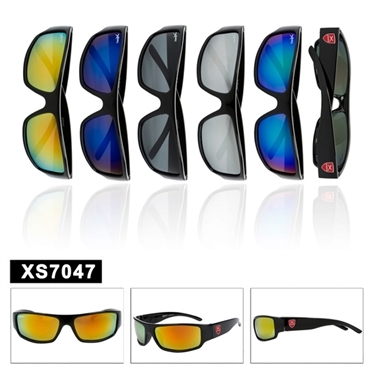 Don't miss out on these new sport sunglasses and order today.